Ramadan is almost here. In preparation for my talk on Prophet Muhammad’s relations with Christians at The Islamic Institute/Blue Mosque in Houston on Friday, I prepared this short post on how people can understand the true spirit of Ramadan. Prophet Muhammad set the precedent on how Muslims should treat Christians in their midst. 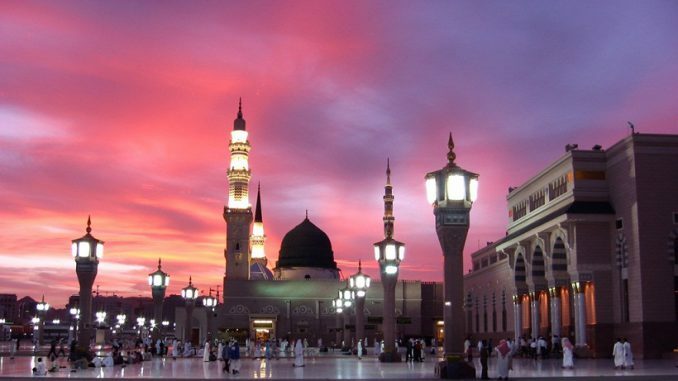 During the time of the Prophet’s rule, there was an area called Najran, a town in southern Arabia considered to be a “Christian valley.” Muhammad sent a letter to the Bishop of Najran, Abu Harith, who was invited to spend time with the Muslim community of Medina. Bishop Harith then sent a delegation of 60 Christian Najrans to enter into diplomatic talks with the Prophet. Not only did Muhammad speak cordially with members of the Najran delegation, but he opened the doors of his mosque so these Christians could pray in peace. After this friendly visit, the Prophet sent representatives to deliver a letter to Bishop Harith. The letter reminded the Christian Najrans that Muslims were a benevolent people who encouraged good will, commanded charity, and deterred evil at all costs. Muhammad also assured them that he was not interested in converting anyone to Islam and that Muslims would help to protect Christians against any tyrants or potential conquerors. Ramadan is an excellent opportunity for Christians and Muslims to rekindle Muhammad’s egalitarian spirit of openness and hospitality. By visiting mosques during this holy period, Christians can learn about Islam through the lens of Muslims as opposed to media narratives which often depict Muslims as radical and violent. Interacting with Muslims is especially important because it is hard for Christians to meaningfully relate to Muslims if they do not spend time in places where they meet. What better way for Muslims to honor the Prophet than by keeping their mosque doors open to Christians during Ramadan. As someone who has visited over 125 mosques in the U.S. and Europe, I can guarantee my Christian brothers and sisters that they will be treated with kindness and respect in whichever mosque they enter during Ramadan.